Established in 1890, the Oklahoma State University is a public, land-grant, sun-grant, coeducational research university situated in Oklahoma, United States of America. 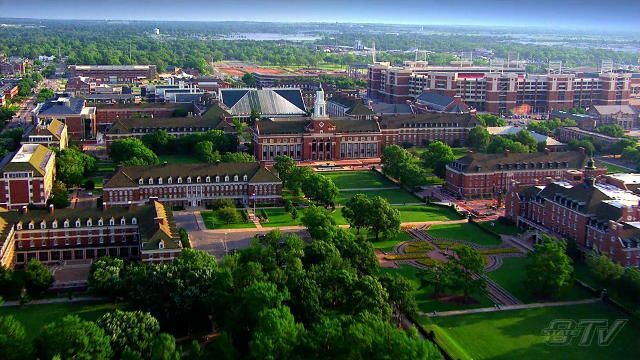 It is the flagship campus of Oklahoma State University System. The Carnegie foundation has classified the university as a research university with high research activity. It is one of the highest rated veterinarian colleges in USA and is ranked 66th by U.S. World News and World Report among the Top National Universities. Oklahoma State University has 9 colleges: College of Agriculture Sciences and Natural Sciences; College of Arts and Sciences; College of Business, Spears School; College of Education; College of Engineering, Architecture and Technology; College of Human Sciences; College of Center for Veterinary Health Sciences; Graduate College; Honors College; College of Osteopathic Medicine. The most popular majors at Oklahoma State University include: Business, Management, Marketing, and Related Support Services, Engineering, Family and Consumer Sciences/Human Sciences and Education. The university offers over 55 degree programs, and follows a semester-based academic calendar. Oklahoma State University has over 21,900 students and of which over 19,000 are enrolled in undergraduate courses. The student to faculty ratio at the university is 20:1 and the acceptance rate is 75%. The percentage of students granted financial aid is 89%. The university is ranked number first in the US among public land-grant colleges and universities for graduating Native American student since 2010. The program of study in agricultural economics shall include course work in four branches: economic theory, research methodology, general agricultural economics, and a specialty branch in agricultural economics. The student may choose to list a minor field in addition. The Technical Services Management option builds on an individual's technical experience in aircraft maintenance or avionics to prepare the students for management positions in all segments of the industry. Twenty-five hours of technical training may be credited toward this option if received from an accredited institution. Completed Admission/Scholarship application, 90 nonrefundable application fee (paid by credit card), Copy of Passport Bio page, Test scores: ACT, SAT, PBT/IBT TOEFL (DI Code: 6546) or IELTS, Official high school transcript (average GPA 3.0 and above), transcripts must be submitted in original language and translated to English, College transcript from each institution attended (if you have earned college-level credit), Financial Guarantee documentation. The BSBA is a four-year program that results in a BSBA degree with a major in accounting. The specific objective of this program is to provide basic conceptual and business knowledge as a foundation for accounting career development.Accounting graduates must be prepared to succeed in this rapidly-changing business environment. The School of Accounting Professional Program provides students with a sound knowledge of the theory and practice of accounting and the skills necessary to stay abreast of continuing developments. The School of Accounting encourages students to recognize the importance of professional ethics, personal responsibility, and the continuing development of leadership skills. The M.S. in Accounting program at OSU has about 150 active students. We are a land-grant university with a down-to-earth mission. Students know their professors here; they know each other; and they willingly help each other. We expect excellence from our students and strive to provide them with the same. Students who undertake our master s program should be transformed into professionals who have completed the CPA exam and are technically adept, resourceful, and ready to compete in a fast-changing, increasingly-global world. We place a particular emphasis on professional ethics, personal responsibility, and continuing development of leadership skills. Aerospace Engineering is concerned with the science and technology of flight, and the design of aircraft, spacecraft, and land and sea vehicles for transportation and exploration. This exciting field has already led people to the moon, and continues to lead in the expansion of frontiers deeper into space, and into the ocean's depths.Because of their unique backgrounds in aerodynamics, propulsion systems, vehicle dynamics and control, and structures, aerospace engineers are involved in solving some of society's most pressing and complex problems and are highly sought after as systems engineers outside of the aerospace engineering industry. Aerospace engineers are pioneers on the forefront of technology. b) Unofficial high school transcript including GPA and courses completed. f) Information on academic background and demographic information. The annual cost of living at Illinois State University is $13260 approx.